While Turkey has made major strides in democratic reforms in the late 1990s and early 2000s, progress has, in many ways, stalled. Turkey remains "democratic" in the sense that attaining political power depends upon winning votes, but in recent years its leadership has taken a majoritarian view of democracy and the country has faced problems on issues such as rule of law, freedom of speech, and increased polarization. 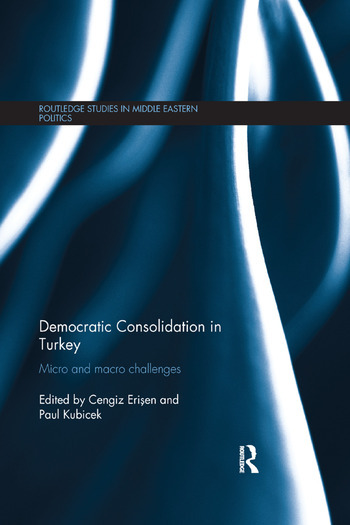 This book explores the understanding and practice of democracy in Turkey since the early 2000s, analyzing its evolution in light of the parliamentary elections held in 2015. Adopting a more holistic approach in line with the writing of Wolfgang Merkel, it recognizes that a successful, consolidated democracy has various micro and macro-level foundations. The former includes factors such as political values, tolerance, identity, and civil society, while the latter includes political economy, party competition, and institutional development. 7: Problems of Rule of Law and Horizontal Accountability in Turkey: Defective Democracy or Competitive Authoritarianism? Cengiz Erisen is Associate Professor of Political Science at TOBB University of Economics and Technology. He has published work on comparative political behavior, political psychology, and Turkish politics. Paul Kubicek is Professor of Political Science and Director of International Studies at Oakland University. He has written extensively on democratization in Eurasia and in Turkey, and is the editor of Turkish Studies.